UV LEDs emit intense UV light during operation. Do not look directly into a UV LED while it is in operation, as it can be harmful to the eyes, even for brief periods. If it is necessary to view a UV LED, use suitable UV filtered glasses or goggles to avoid damage to the eyes. 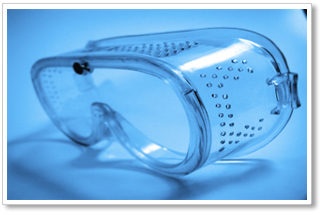 Avoid any direct eye exposure to the emission of a UV LED. Keep UV LEDs and products containing them out of the reach of children. In case several UV LEDs are used together and/or at high output operation, avoid prolonged exposure to skin or other tissue, especially if several UV LEDs are used together or one or more UV LEDs are used at high output operation. Take appropriate precautions, including those above, with pets or other living organisms that might suffer injury or damage from exposure to UV emission.